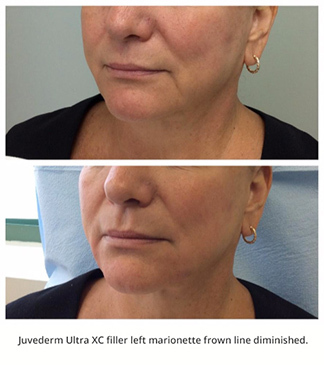 JUVÉDERM® is a smooth gel filler that is used to instantly and nonsurgically smooth away wrinkles around the nose and mouth. After a single treatment patients will attain natural-looking results that can last as long as one year. 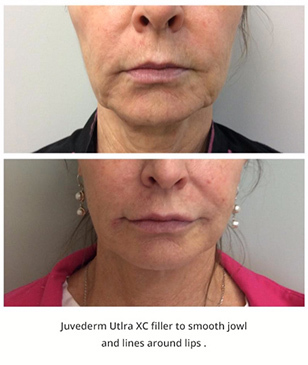 JUVÉDERM® can address problems such as smile lines, lip lines, as well as other fine lines and wrinkles and restore a more natural skin contour. The procedure can generally be done in an hour or less, but patients often see effects that last up to a year. 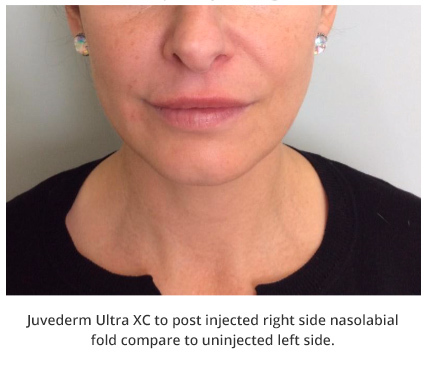 Your doctor will use JUVÉDERM® to provide a tailored treatment that will meet your specific needs and offer long lasting results. Dear Dr. Huang, I woke up this morning with no swelling and no bruising! The area around my mouth just looked natural and very nice. You have a great touch and do such a nice job. Thank you so much! BOTOX® is made of a protein gathered from the bacterium Clostridium Botulinum and purified. The purified product is then administered by physicians to wrinkles, creases and frown lines through a short series of tiny injections. 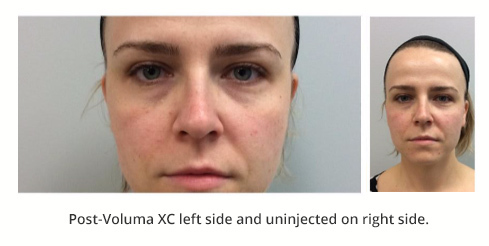 Botox is introduced directly to the muscles that create lines and wrinkles, resulting in decreased depth and definition. 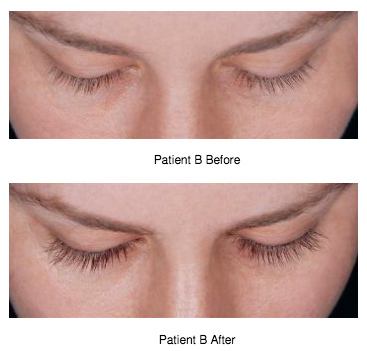 LATISSE® solution is a prescription treatment used to grow eyelashes, making them longer, thicker, and darker. 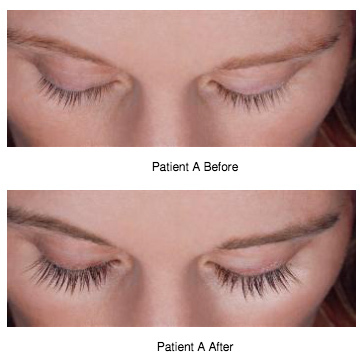 We conveniently carry LATISSE® at our office so you can start immediately. To find out more information or schedule your appointment Please call (312) 544-0200 or request more information online.